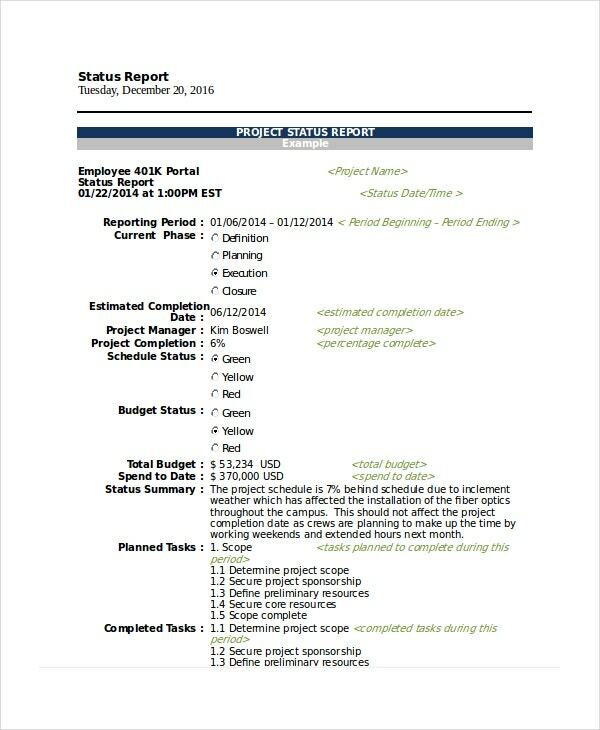 A project status report examples is a document that is widely used by project managers for the purpose of reporting the status of a project to the project committee, project sponsor, senior manager, or other key stakeholders. 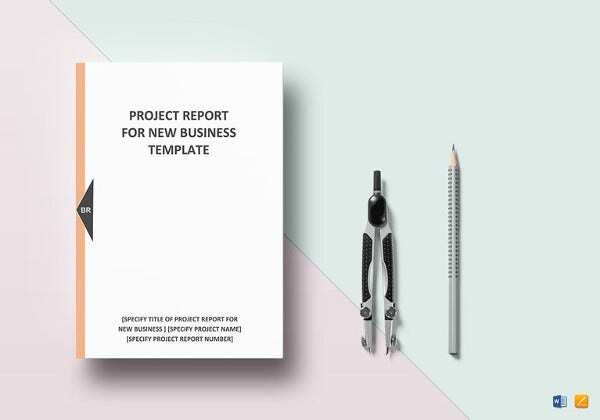 Writing a project report can be a tricky affair as it needs to be quick and easy. 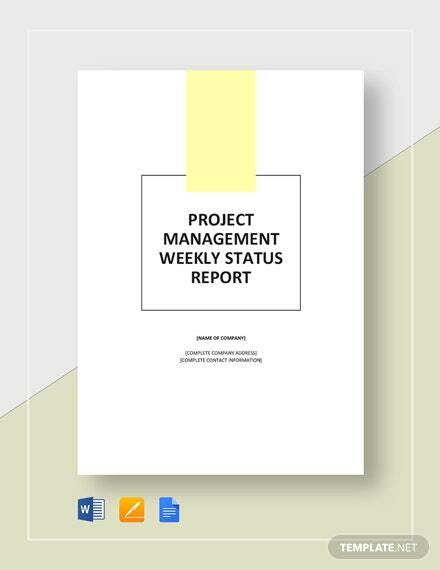 You need to ensure that the project report stays short, clear, and concise. 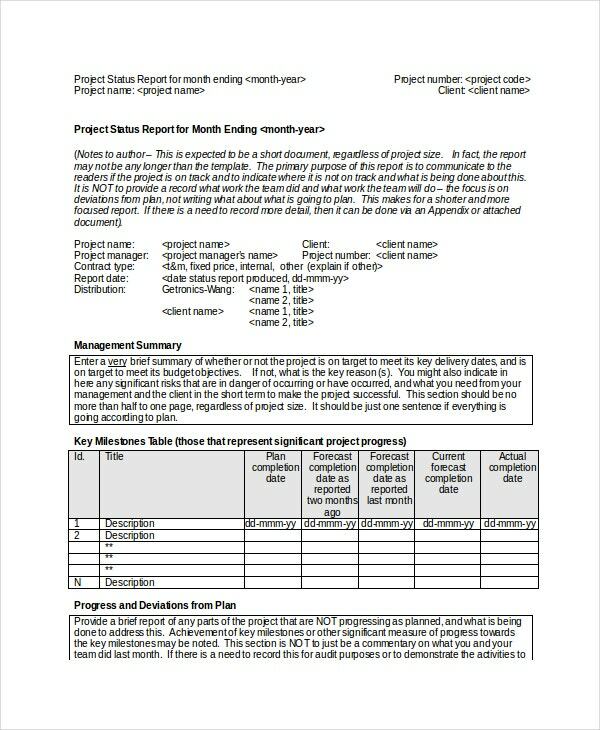 To lessen your burden of creating a project report from scratch, we have collected a list of Project Status Report Templates. 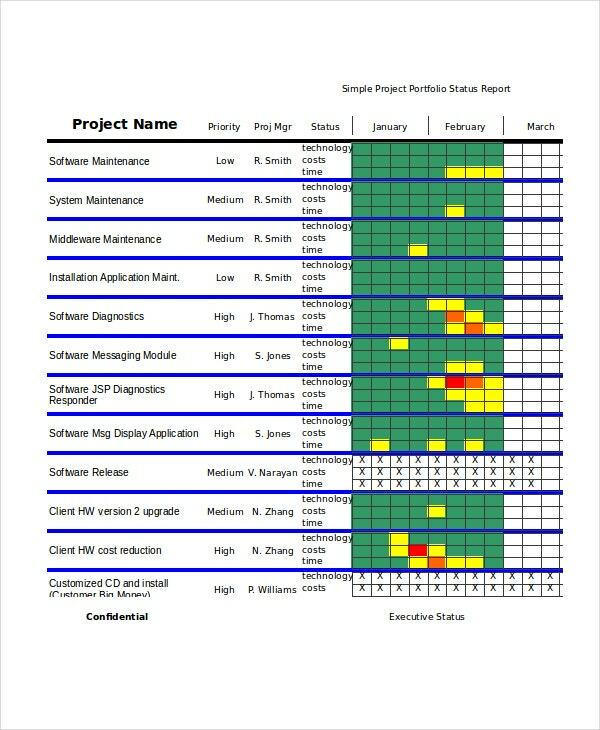 This Sample Monthly Project Status Report Template offers information on the progress made on a project to the stakeholders. It is a synopsis of the month’s activities and highlights the key changes in the project. 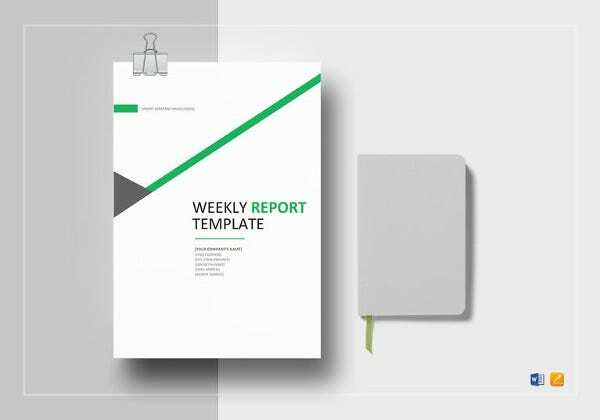 Use this template report for your project on a monthly basis. You can also check the Status Report Templates. 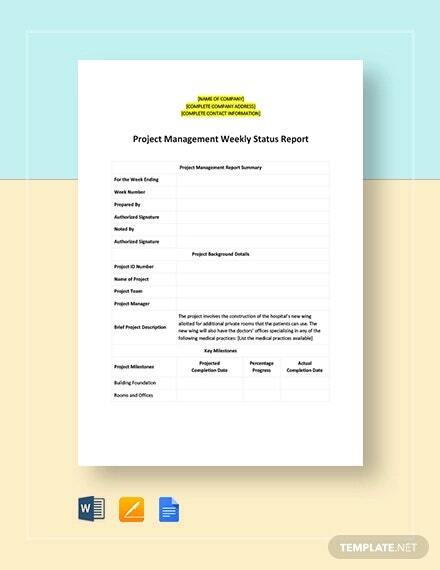 Weekly Project Status Report Template in PDF is a thoughtfully designed weekly status report that will enable you to see it for yourself how much of the project you have completed, whether it is running on schedule or behind schedule. Download this template and use it for your purpose. 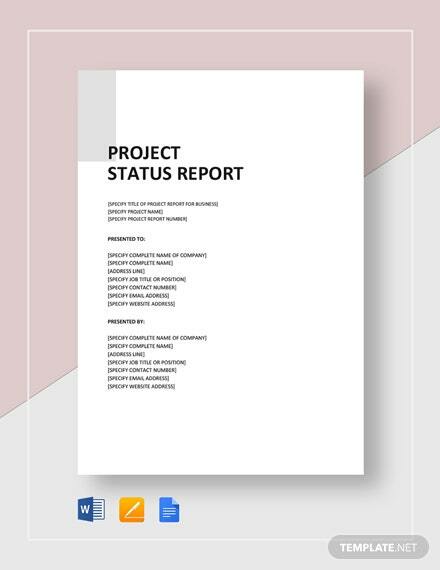 This Printable Project Status Report Template offers a condensed summary of the key status indicators, critical issues, critical risks, trends, and similar factors. It also helps in reporting a list of significant milestones reached, tasks completed, and a lot more. 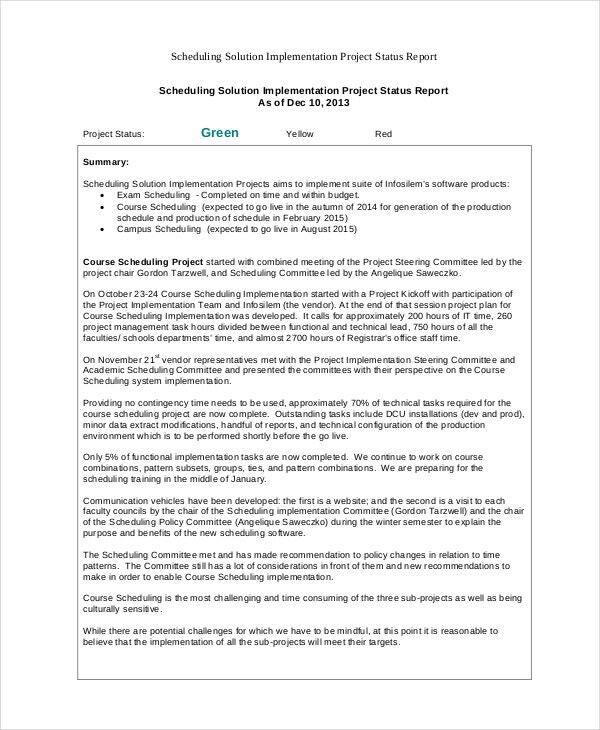 You can also check the Project Closure Report Templates. 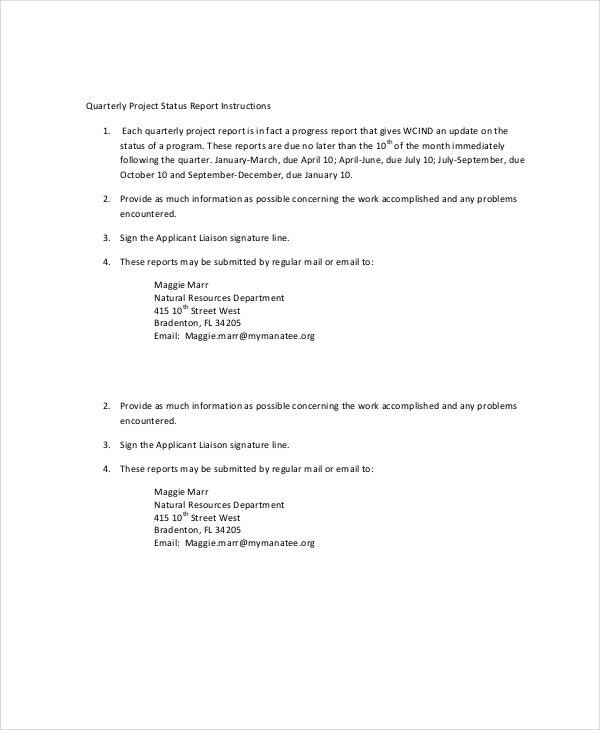 > Who is the target Audience for these Printable Project Status Report Templates? 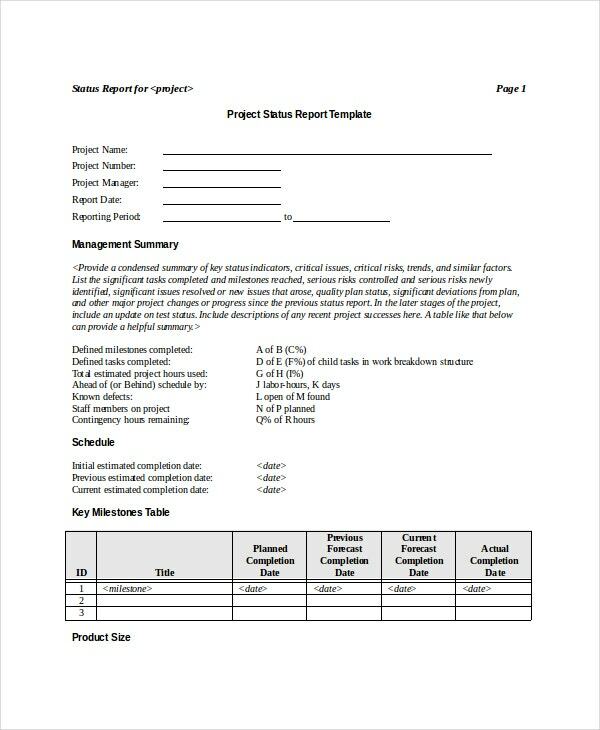 These Printable Project Status Report Templates are ready-made formats that can be utilized by the project managers of large construction projects. 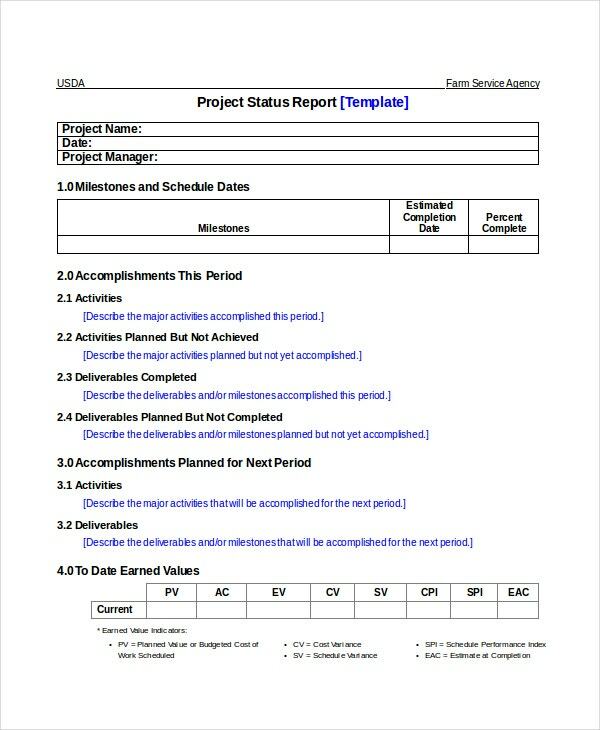 Also, anybody working on a project in a team can use these project status templates to keep all their team members updated about the status of the project they are working on. It will help them in knowing whether the project they are working on is running as per the planned schedule or it is running behind the schedule. 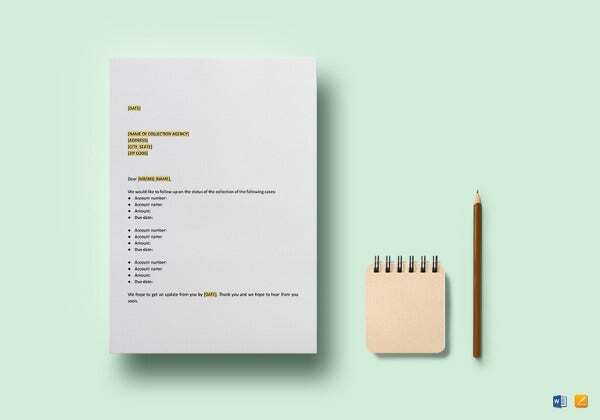 It can also be used by any agency or start-up company. This is one of the most prominent ways to keep a tab on the progress of a project. 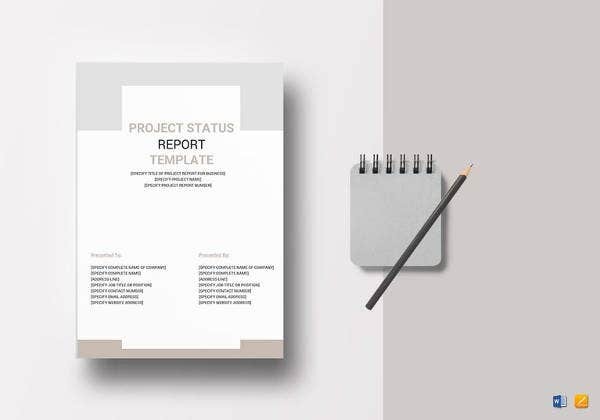 This Sample Minor Projects Status Report Template is a ready-made template that you can download and customize as per your project requirement. You just need to input the necessary data. These include how much you have progressed with the project and the difficulties you are having in accomplishing the tasks and so on. 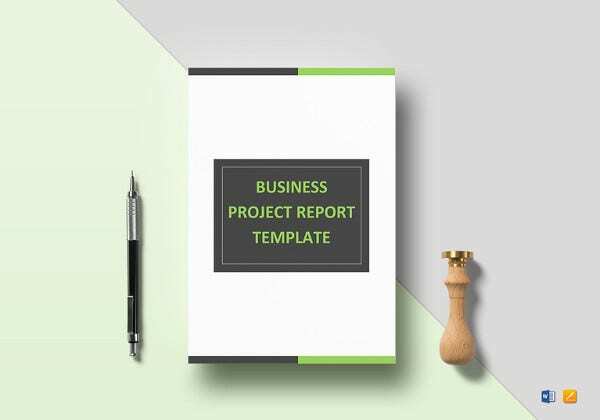 If you are looking for a project status report template that should have all the basics covered, you should opt for this Blank Project Status Report Template in Word. 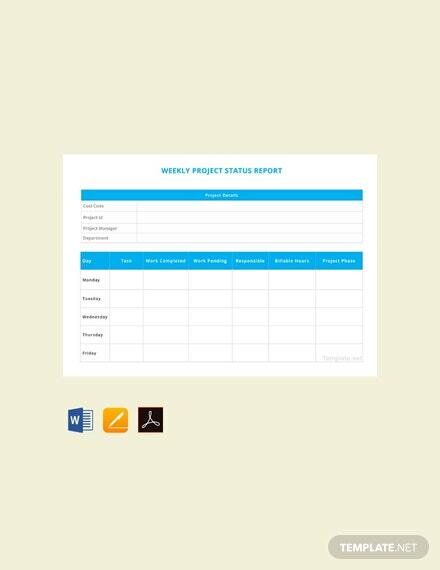 It is a blank template with all relevant sections; you just need to input your data and you will be ready with your project report. 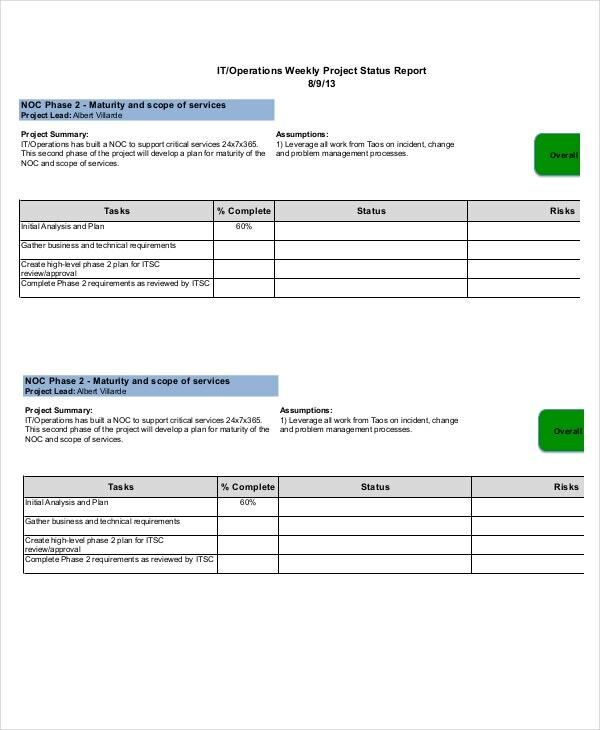 > How can you use these Project Status Report Templates? 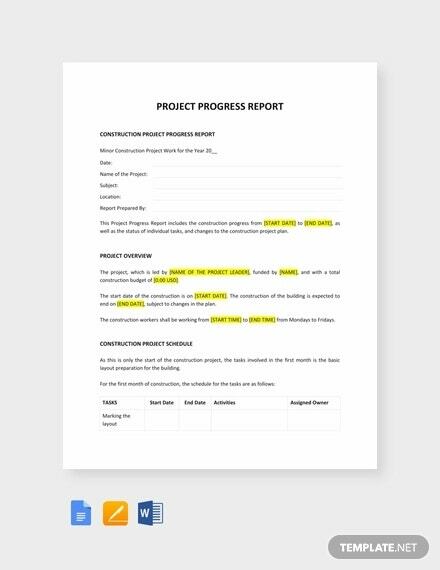 You can use these Project Status Report Templates with effortless ease to create your project status report. Most of these templates are available in either in MS Word, Excel, or PDF format. Hence, you can easily download them and customize them to suit the requirements of the project you would be working on. 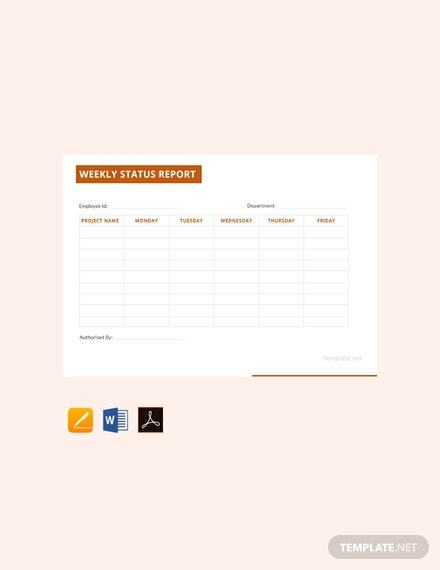 You can even use bullet marks to make your status report look organized, professional, and neat. 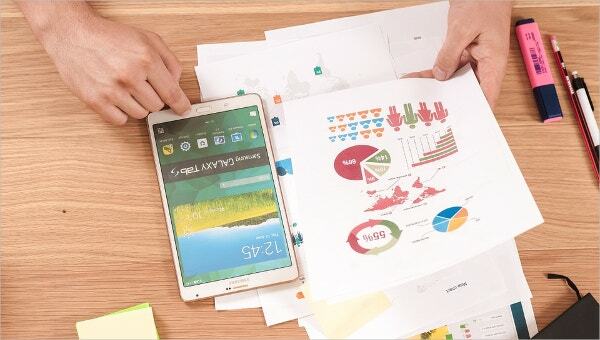 The best part is that these templates provide you with a readymade format, and you just need to input the required data. So, you don’t have to create one from scratch on your own, and it will save your time as well. 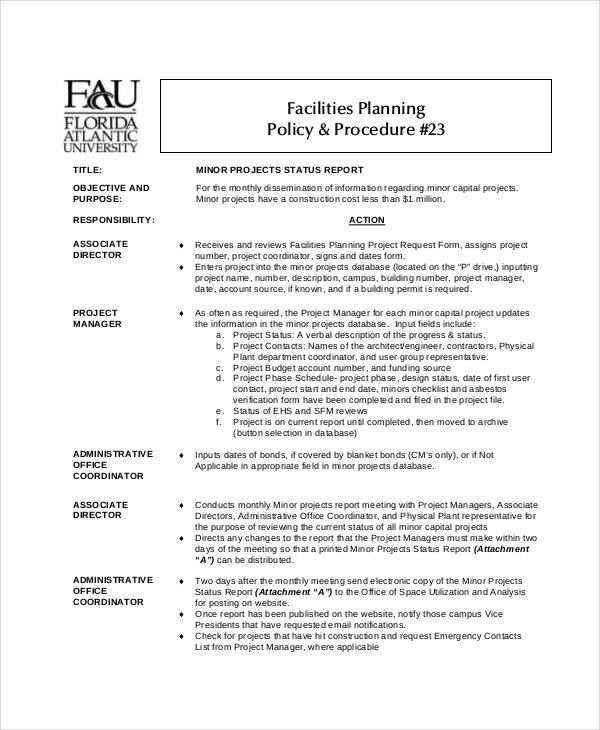 You can also check Project Templates. 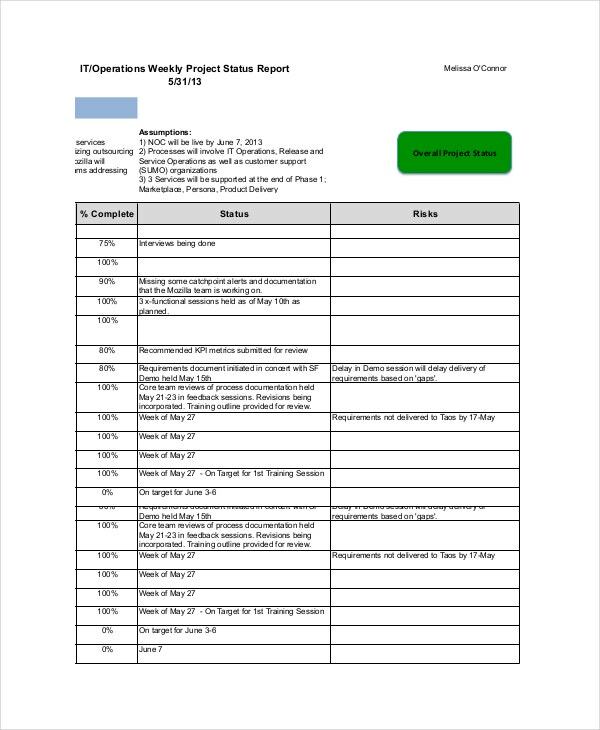 The Project Status Report Templates as mentioned above are created by our team of experts who have created them after extensive research on the topic. 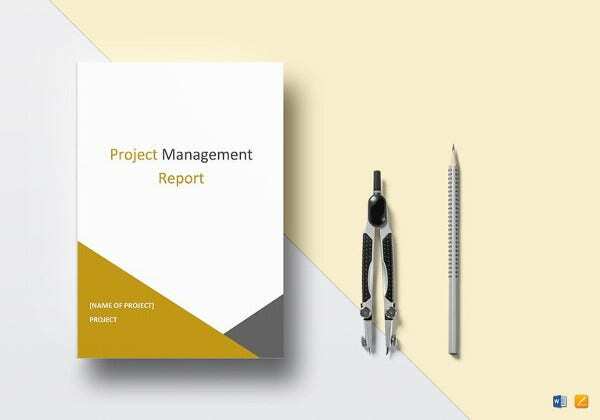 Out of our vast collection of project status templates, you can choose the one that best matches your requirement and get on with the task of creating a project status report in a hassle free manner.